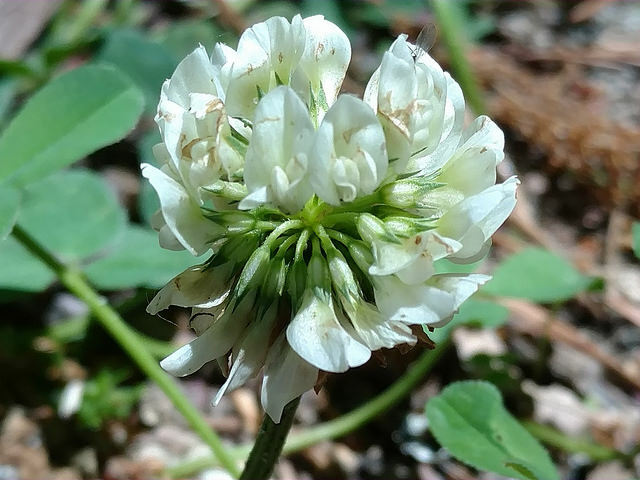 White Clover Trifolium repens LinnaeusNon-native Synonyms: Dutch Clover. 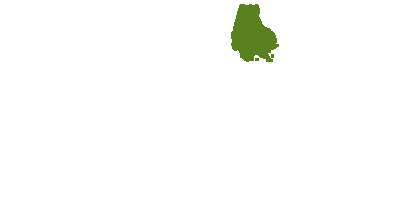 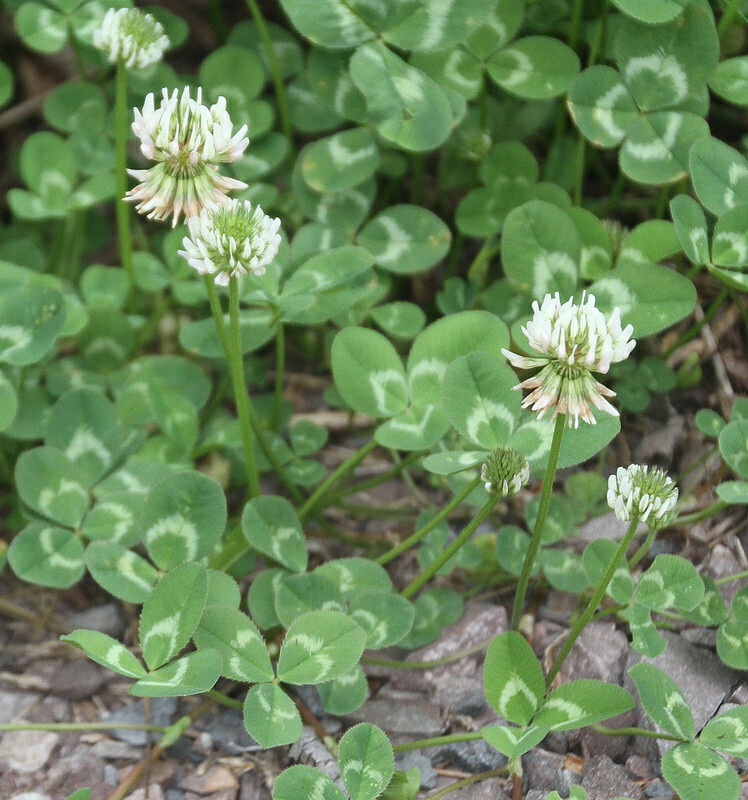 White Clover is native to Eurasia and North Africa, but has been introduced nearly worldwide. 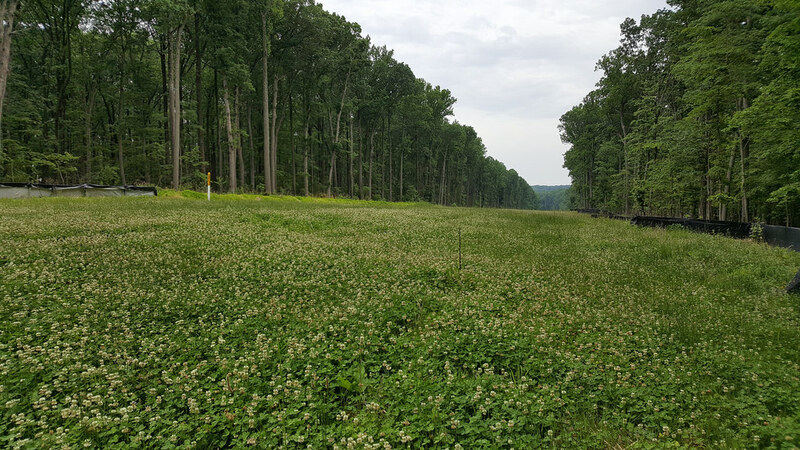 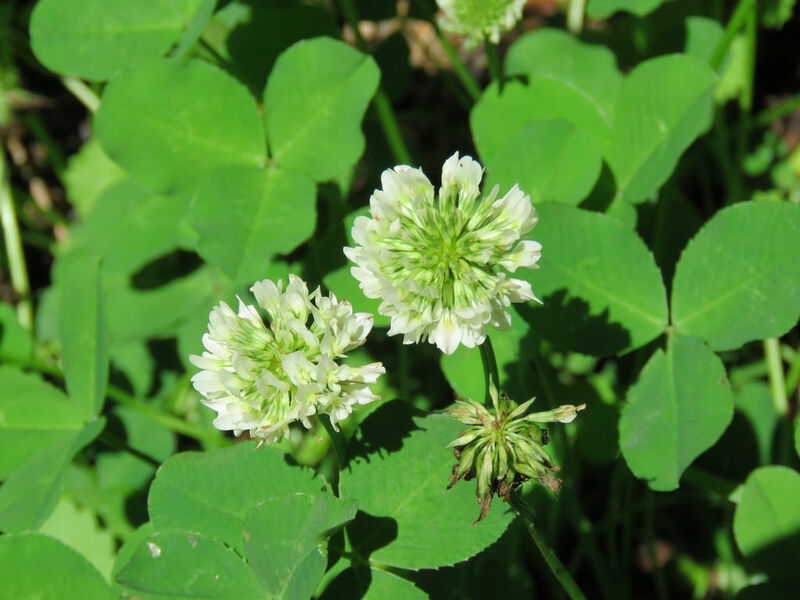 White Clover can be abundant in any open habitat throughout the state. 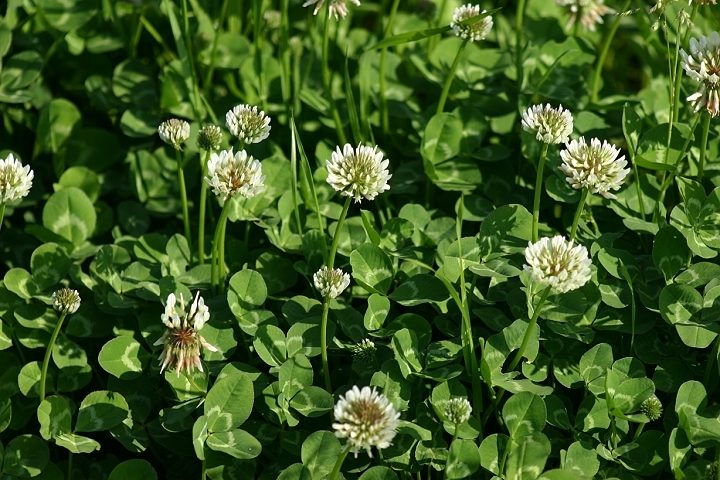 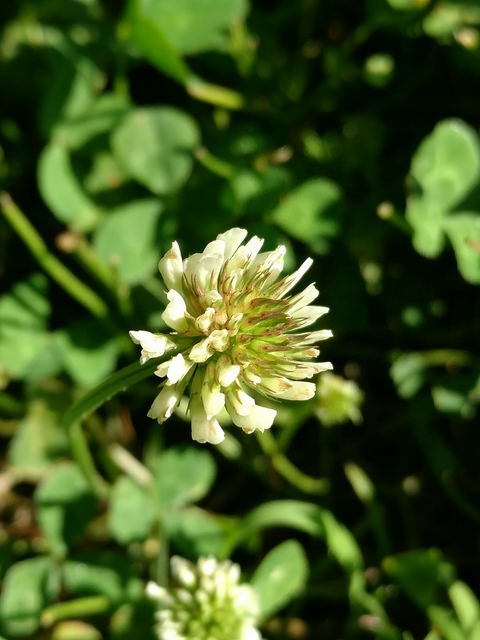 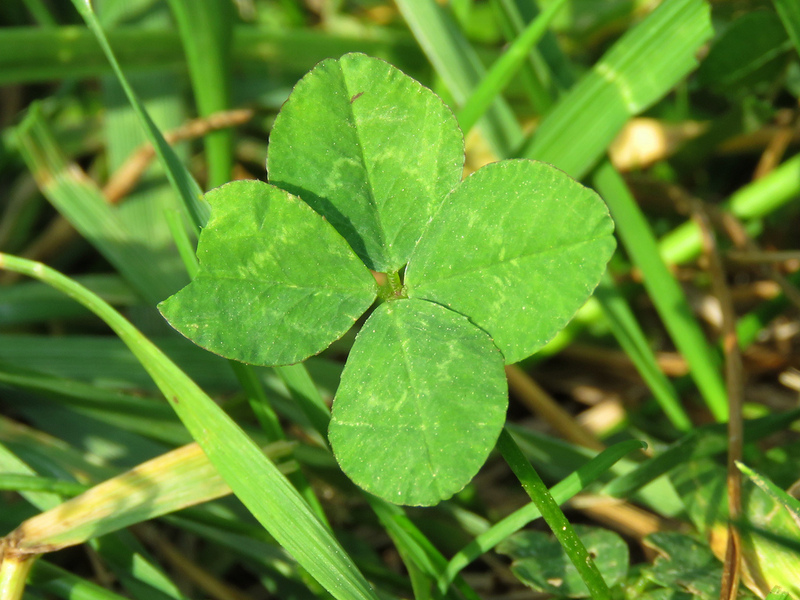 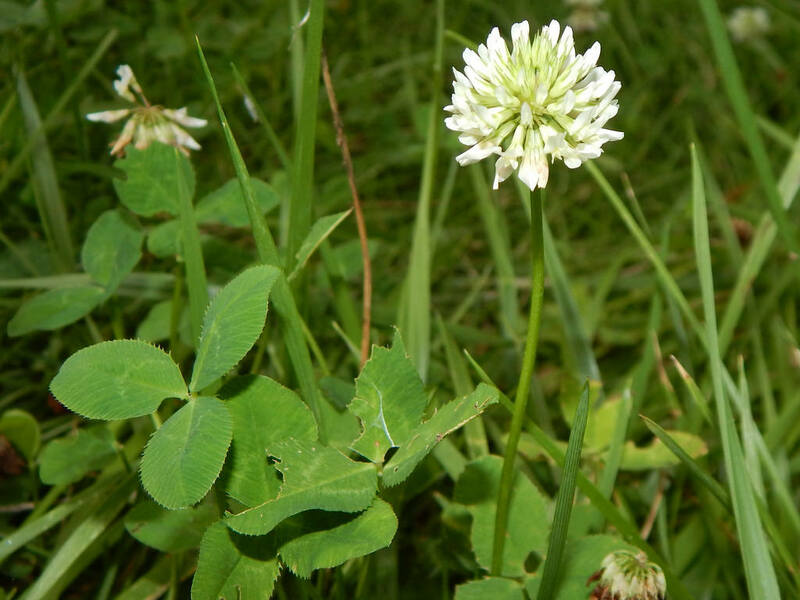 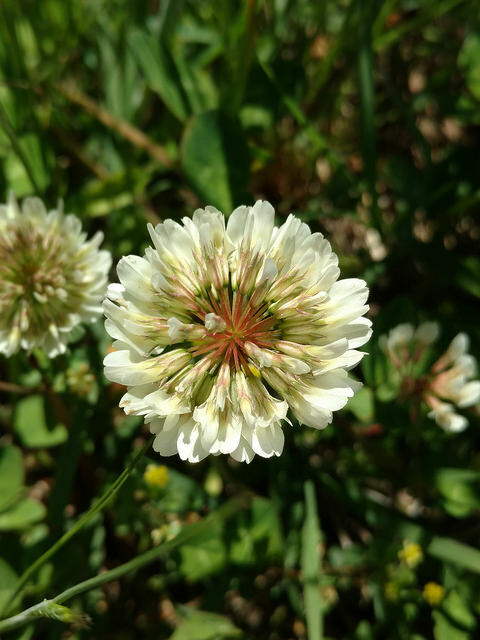 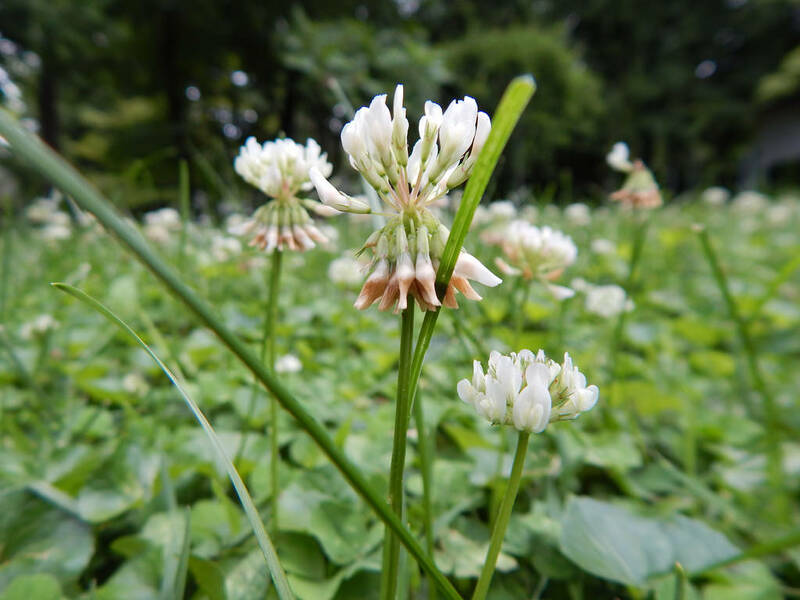 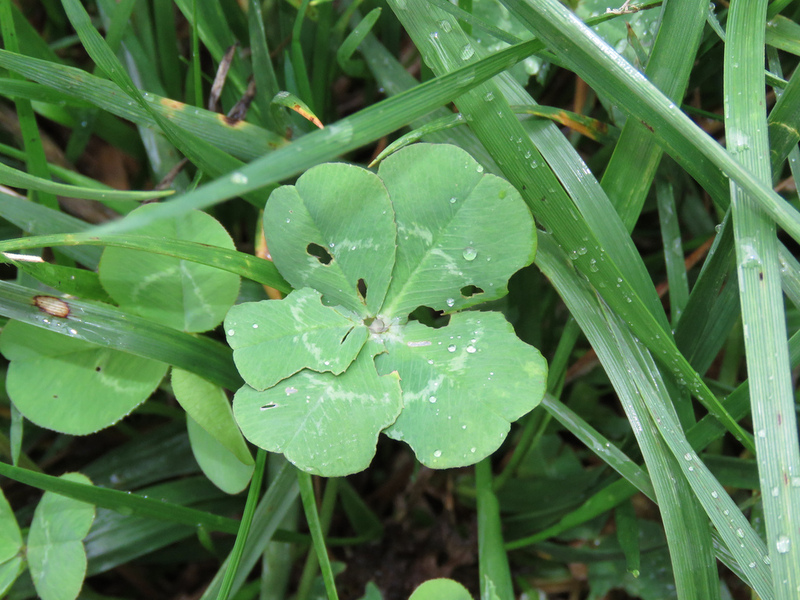 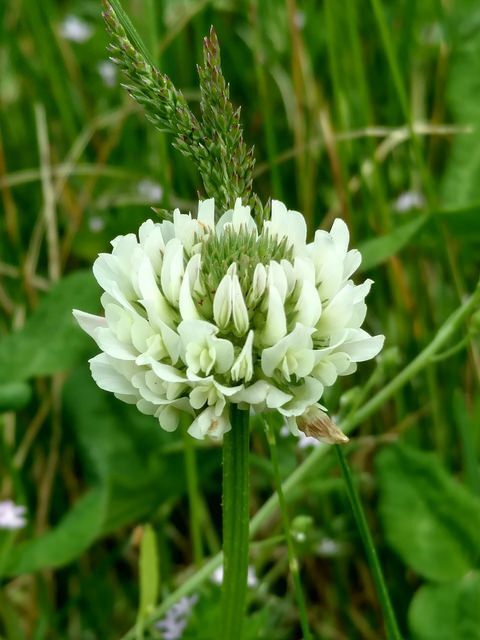 White Clover can be very common in lawns, roadsides, and open areas. 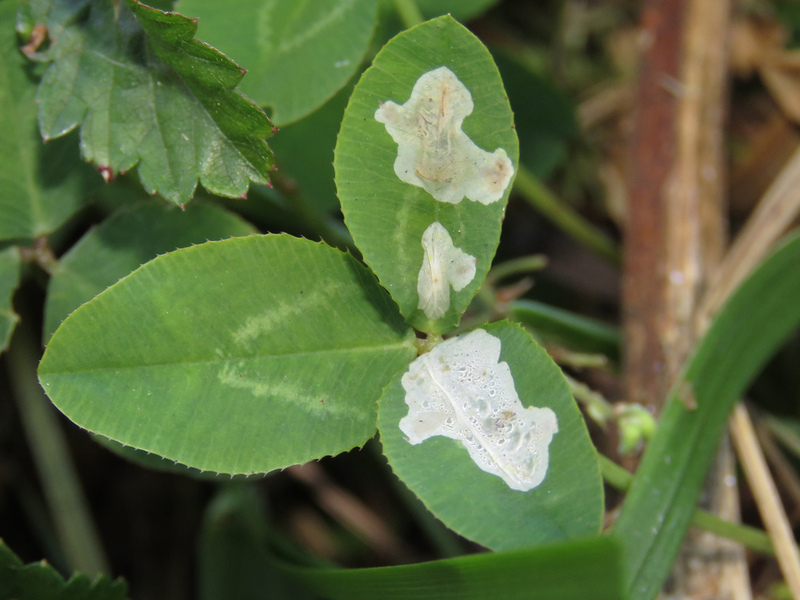 Host plant for the butterfly Eastern Tailed-Blue and the newly arrived moth Porphyrosela minuta (note distinctive mines on leaves). 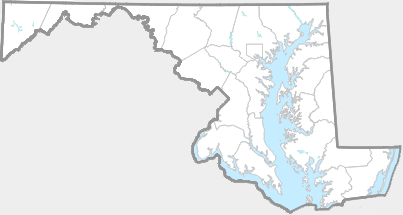 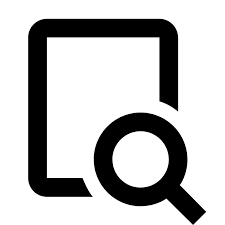 There are 520 records in the project database.